Capcom’s Resident Evil 7: Biohazard is scheduled to arrive early next week. If you’re having trouble deciding which platform to pick it up for, Microsoft has a promotion that may help sway your decision its way. Phil Spencer, head of Xbox at Microsoft, recently revealed via Twitter that Resident Evil 7 will be an Xbox Play Anywhere title. Announced at E3 2016 and launched a few months later, the idea behind Xbox Play Anywhere is you buy once, play anywhere. Specifically, when you purchase an eligible Xbox Play Anywhere game digitally, you can play it on your Xbox One plus a Windows 10 PC at no additional cost. In-game progress made on one platform carries over to the other so you can pick up right where you left off. The same is also said for achievements, season passes, add-ons and so forth. The Xbox Play Anywhere landing page lists a handful of Xbox Play Anywhere games currently available including Gears of War 4, Forza Horizon 3, ReCore, and Astroneer with others like Halo Wars 2, Killer Instinct Season 3, We Happy Few and Crackdown 3 expected to be added soon. 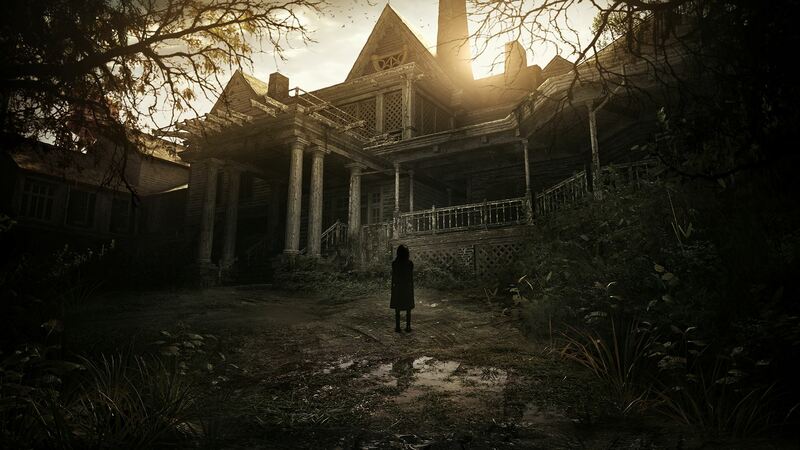 Resident Evil 7: Biohazard is set to launch on January 24, 2017, for Xbox One and Windows PC. You can also pick it up for PlayStation 4 although you’ll miss out on the Xbox Play Anywhere promotion.